Barkerville Main Street, Looking West. Barkerville Snow Scene. Tractors Clearing Snow On Front Car, Norman Plomer. 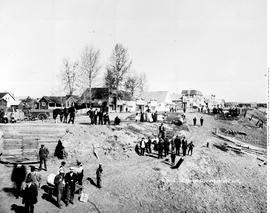 Barkerville, From Left, Joe Mason's Store, Then Roger's Store. Barkerville, View From Above In Snow. Barkerville. View Of St. Saviour's Church From Rear. 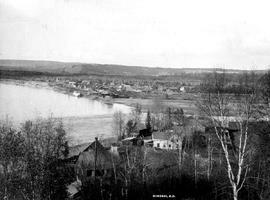 Barkerville; box 10, file 318.